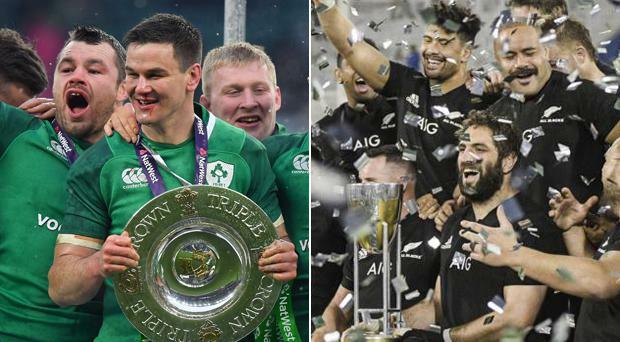 Global stars including England captain Owen Farrell and Ireland fly-half Johnny Sexton have warned of serious player welfare and integrity concerns over World Rugby's proposed new competition structure. The International Rugby Players' Council held a detailed conference call this week that included nine of the world's top 10 Test team captains dialling in. A new global season is due to kick off next year, running until 2032. Discussions, meanwhile, have also taken place about a new World League that would combine 12 international sides from both hemispheres in a competition running through summer and autumn and culminating with play-offs and a final. The IRPC said players were "united in their concern" about issues such as player-load challenges from playing multiple Tests across different time zones in consecutive weeks, increased conflicts between club and country demands, plus potential impact on the World Cup and British and Irish Lions tours. The IRPC also claimed that promotion and relegation will not form part of the new proposal, saying it would prevent Tier Two and emerging nations from accessing top level competitive matches. It is understood that any World League would have the intention of featuring England, Wales, Scotland, Ireland, France, Italy, New Zealand, Australia, South Africa and Argentina, plus Japan and the United States, who could be invited to join the Rugby Championship. But if no promotion and relegation is sanctioned, then it could mean countries like Georgia, Samoa, Fiji and Tonga being isolated. "It seems like a commercial deal on the future of the game is being negotiated at a rapid pace with little consideration given to the important points we raised with World Rugby in November," Sexton said, in a statement released by the IRPC. "The issue of player-load has never been so topical. However, it needs to be properly understood. In a statement this morning, World Rugby said it was 'surprised' by the stance taken by the IRPC and claimed that some of the assertions made were inaccurate. The statement read: "World Rugby recognises and values the importance of player considerations and input into the annual international competition discussions. However, the manner the International Rugby Players (IRP) organisation has expressed these is surprising given regular engagement throughout this ongoing process. World Rugby’s commitment to player welfare matters is unwavering and we will continue to engage and give full consideration to the welfare of players within the ongoing discussions. "It is inappropriate to comment on specifics whilst wider stakeholder consultation, including with IRP, is ongoing. However, it is important to note that some assumptions made in the statement regarding the proposed competition structure are inaccurate and that important matters such as playing load and emerging nation opportunities are at the heart of constructive dialogue on the overall concept. "Consumer research confirms a structured annual competition would make fans and new audiences more likely to watch, attend and engage with international rugby, exposing the sport to new fans worldwide. There is also no doubt that a structured annual international competition would deliver significantly greater long-term broadcast revenue for reinvestment in the global game. This project has at its heart long-term growth and stability, not short-term wins, and that includes greater opportunity for players. "As instructed by our Executive Committee and the Unions, we remain committed to a process of constructive dialogue with all stakeholders, including the IRP, to deliver a model that ensures the best-possible competition and commercial outcomes for all and a truly exciting and meaningful annual international competition structure that is great for players, clubs, fans and unions."